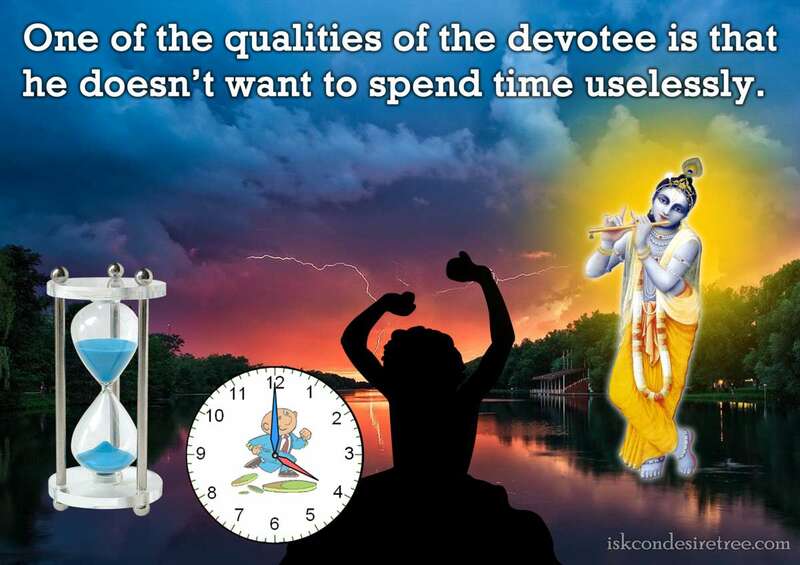 One of the qualities of the devotee is that he doesn’t want to spend time uselessly. Sri Chaitanya Mahaprabhu is more magnanimous than Lord Krishna but the devotees are even more magnanimous than Sri Chaitanya Mahaprabhu. If a spiritual person has love, peace, self-control and compassion, we can understand that he or she is actually connected properly to his or her roots. The devotee should be more tolerant than the tree and more submissive than the grass. He should offer all honour to others, but may not accept any honour for himself. Quality of a Vaishnava – humble, at the same time determined.